Anuenue is pronounced as AA-Nuw-eh-NUW-eh. Anuenue's origin and use are both in the Hawaiian language. Anuenue's meaning is rainbow. 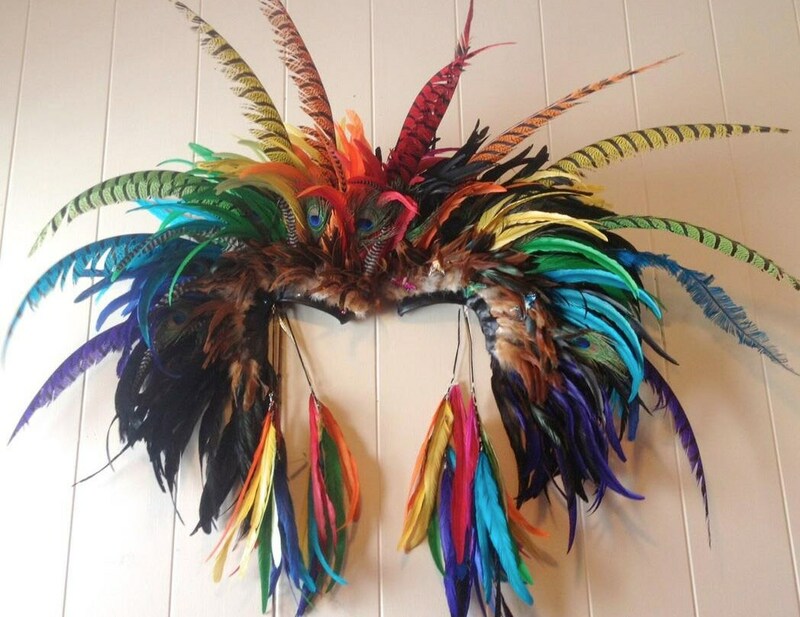 Rock out with your hawk out and feel like a God/Goddess in your one of a kind, ‘MADE JUST FOR YOU EXTREME rainbow feather mohawk!!! Want a discount?? Contact me for details on how...I am very flexible with pricing. I also take payment plans - if you cannot afford my prices please don't hesitate to talk with me on how we can work something out for you! Each piece is entirely handmade with love by me, and includes an authenticity tag "handmade by Michelle Curiel" with the mohawk style and number on it (number is based on total mohawks I have made to date). This is not only a headpiece - it is a work of art and treated like one! 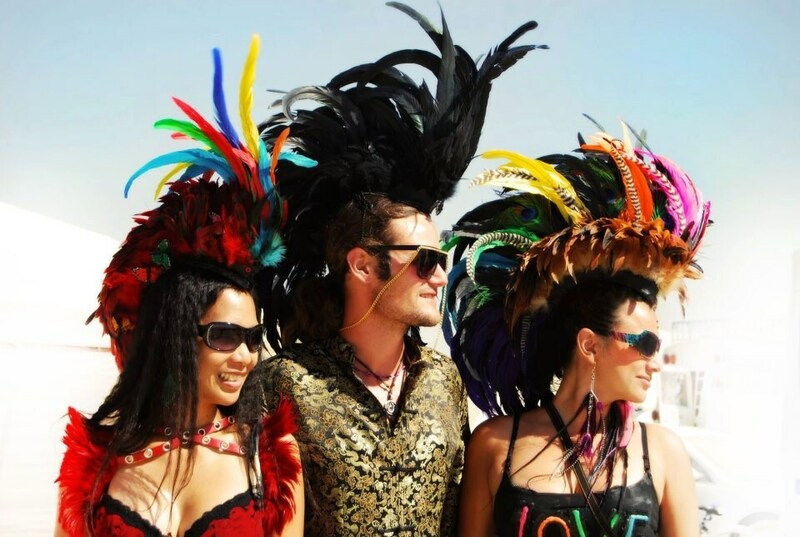 When not wearing your feather hawk, display it proudly in a display box or mannequin head in your home and get tons of compliments on it by your guests! Please note that the piece you see in these photos is not the same one you will be getting, but made to be in the same likeness and regal beauty!